Slender sip tumbler: BPA Free! Matching straw and snap on lid. Presenting the 16oz. Slender Sip Tumbler, an elegant tumbler that comes in a tall, sleek and slender design. 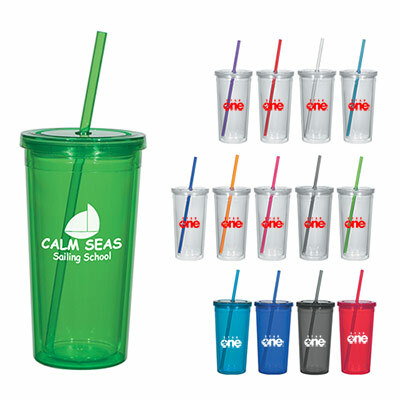 There are a wide variety of colors to choose from and each product comes with a matching straw and snap on lid. 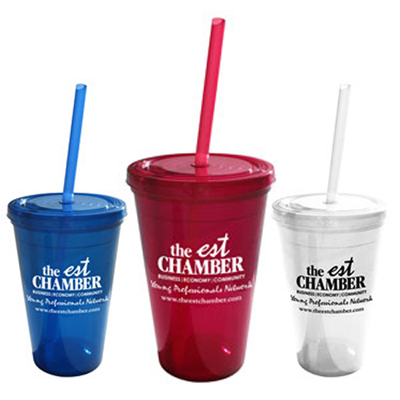 Place an order for this promotional Slender Sip Tumbler and take your branding to the next level. 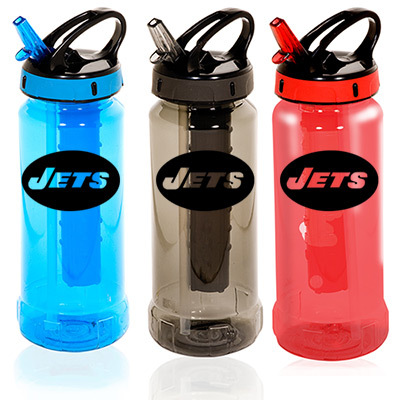 Be assured that your logo will look great on these giveaways. "They are great tumblers, especially the price. I received the order on time." 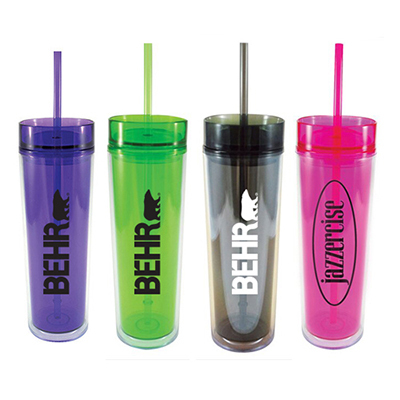 "These tumblers are the perfect reminders of our brand. " "Your customer service team rocks! " 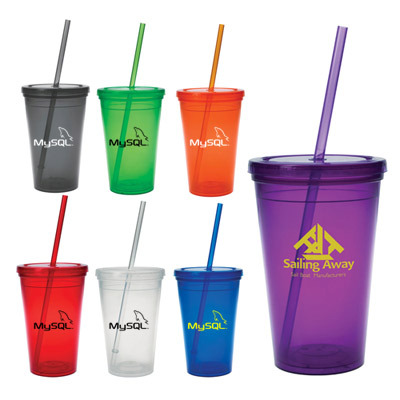 Boost your brand with stylish logo'd drinkware!